This Silver coin celebrates the ninth animal in the 12-year cycle of the Chinese zodiac. In Chinese culture, those who are born under the influence of this sign are said to be intelligent, quick-witted, optimistic, ambitious and adventurous. 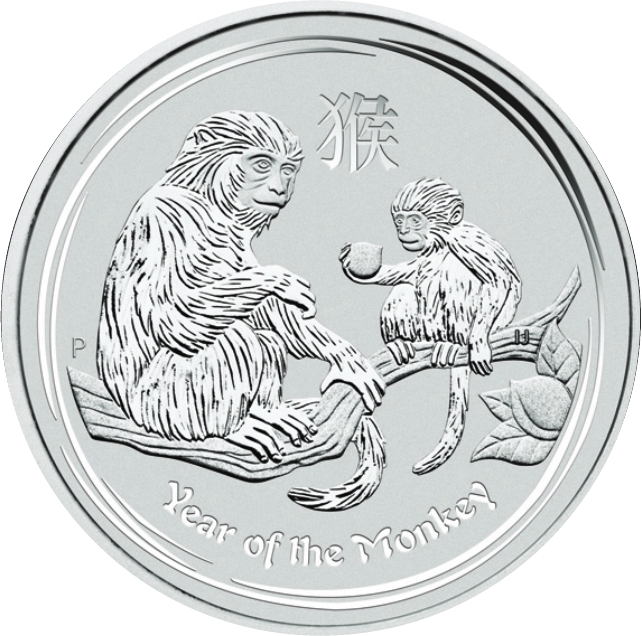 The 2016 Silver Lunar Year of the Monkey coin features an adult monkey sitting on a branch of a peach tree, which is symbolic of lovevity and immortality. The Chinese character for ‘Monkey’ and the inscription ‘Year of the Monkey’ also appears in the design with The Perth Mint’s ‘P’ mintmark.. The coin’s obverse depicts Her Majesty Queen Elizabeth II, the year-date, weight, fineness and the monetary denomination. A pattern of lines forming a circle immediately inside the rim, surrounding a representation of an adult monkey and a young monkey holding a peach, sitting on a branch with leafy foliage and a peach to the side. 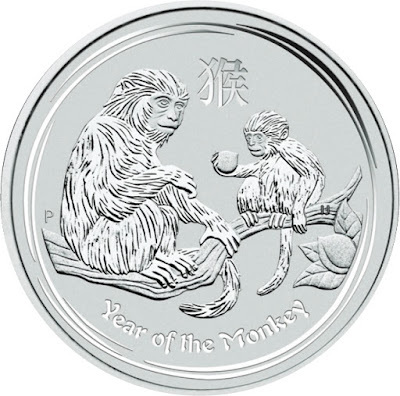 The coin includes the following inscriptions ‘Year of the Monkey’, the Pinyin pictograph pronounce ‘hóu’ and meaning monkey and the initials of the designer Ing Ing Jong ‘IJ’.